Schwarzhorn is a majestic mountain located between Brienz and Grindelwald in the Bernese Oberland and is one of the best attractions in the city. 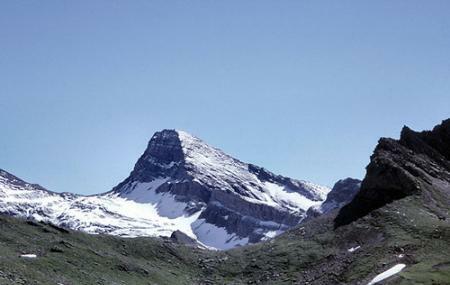 The mighty and grand mountain stands as one of the biggest tourist attractions in the place. The mountain due to its picturesque views and exciting landscape has become a very important part of the Brienz tourism. The mountain sees a lot of tourists and is known for its breath taking beauty. Hiking is possible on the mountain though you have be well prepared as the mountain is a bit tough to hike. Buses from Brienz BE, Glyssibach can be taken. How popular is Schwarzhorn Sight-seeing? People normally club together Schweizer Holzbildhauerei Museum and Prime Ski School while planning their visit to Schwarzhorn Sight-seeing. Klettersteig im verhältnis zum Zustieg zu kurz, die Aussicht entschädigt aber. Gibt nur wenige Gipfel mit solcher Sicht.